Belgrade, November 13th , 2018 – The first Balkan Sommelier Challenge took place from 9th until 11th of November in the Belgrade’s Hyatt Regency hotel. At the finals of this international competition, a Serbian sommelier Vuk Vuletić, last year’s best Serbian sommelier, won this competition. The second place went to Julija Scavo from Romania, and the third place to Norbert Kovacs from Hungary. Sommeliers from Albania, Montenegro, Greece, Croatia, Cyprus, Hungary, Romania, Slovenia, Serbia and Turkey took part at this first Balkan competition. Beside them, sommeliers from Sweden and Norway joined as a guest competitors. The test exams and the assignments were prepared by the Finish Sommelier Association. The qualifications and the semifinals took place on November 10th, when 12 competitors made to the semifinals: Siniša Lasan, Marko Šram, Fredrik Lindfors, Julia Scavo, Norbert Kovacs, Bujar Yuri Tukuli, Vuk Vuletić, Alexandros Bouzikas, Aristotelis-Iosif Sklavenitis, George Loukakis, Sotiris Neophytidis and Simon Zimmermann. In the semifinals they have shown their skills in serving sparking wine and cocktails and wine blind tasting of Balkan wines. The finals of the first Balkan Sommelier Challenge took place on November 11th. 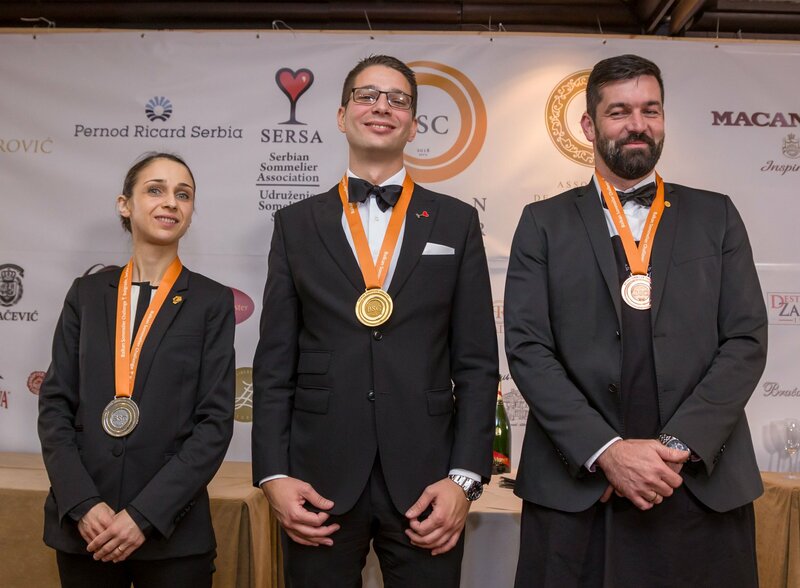 Three finalists competed for the title of best Balkan sommelier: Julia Scavo, best Romanian sommelier, Norbert Kovacs from Hungary and Vuk Vuletić from Serbia. The finalists competed in recognizing and describing wines, matching wine and food, decanting wine bottles, beer identifications, serving cigars and port, answered short quiz questions of general wine knowledge and served champagne out of magnum bottles. After winning the Balkan Sommelier Challenge, Vuk Vuletić will represent Serbia at the upcoming ASI Best Sommelier of the World Competition that will take place in March next year in Belgium.